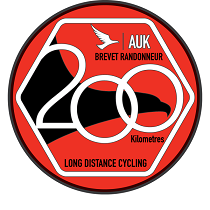 210km cycling event starting from Devoran, S of Truro. Controls at Lizard Village, Gwithian and Padstow, plus 2 information controls. The route provides more modest ascent than other 200s run in Cornwall but it is scenic in the literal sense. The Camel Trail is used for a 21km section but this can be avoided on supplied all-tarmac alternative.